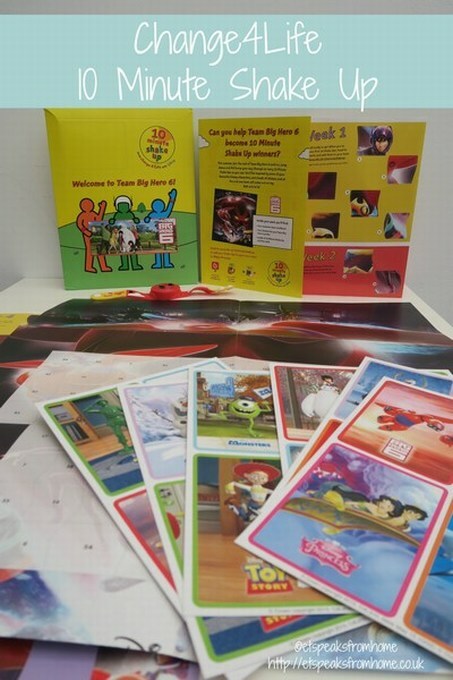 Those who sign up to the campaign will receive a free, Disney-inspired 10 Minute Shake Up pack containing a team wristband with timer, activity cards, wild cards for children to invent their own Shake Ups and a team poster with stickers, so kids can proudly display their Shake Up activity. To order your free Change4Life and Disney 10 Minute Shake Up pack (*while stocks last), and enjoy these fun active games this summer, please click here. GP and former Gladiator Amazon, Zoe Williams is supporting the campaign and strongly believes in getting kids doing more exercise. Take the kids to your local park – just playing in the play area or running around will help get hearts beating faster and keep kids entertained. Don’t blame it on the weatherman! Even if it’s raining children can still be active. Have a look on the 10 Minute Shake Up zone for game ideas which can be done inside, like Olaf’s summer dance – a fun routine to do in your living room. Get your kids active and helpful at the same time! Ask your kids to lay the table or do the washing up – this may not seem like much but it will get them off the sofa and will make activity part of a routine. Walk, don’t drive. If you tend to drive for short distances, whether it be to the shops or to friends’ houses, try walking instead to add extra activity into your children’s day. Do an activity challenge together, such as working towards a fun run or a walk for charity – there are loads of these taking place in the summer and they’re a great way of getting the whole family active. Check out the Change4Life website for events taking place in your local area. 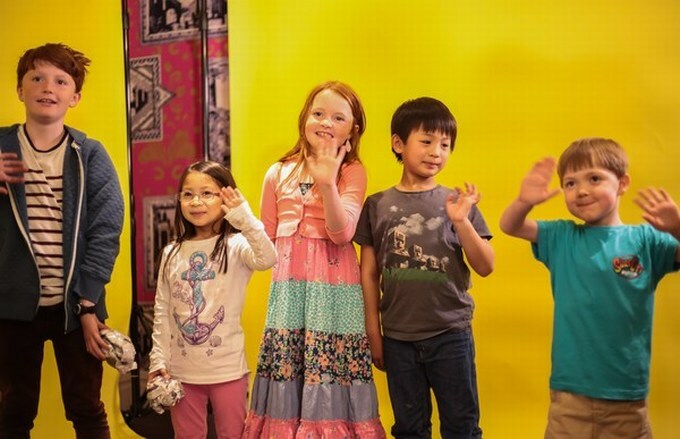 There are loads of exciting and fun activities to try out on the 10 Minute Shake Up hub so if you’re stuck for ideas check it out, they’re easy to do and your kids will be getting their 60 minutes in no time! As for the Inside Out movie, the story is about an 11-year-old girl named Riley, whose life goes through big changes when her family moves from Minnesota to San Francisco. The movie is mostly set inside Riley’s mind, where five core emotions of Joy, Sadness, Disgust, Fear and Anger – each imagined as a tiny person and manage the brain’s control centre. I think the whole plot is very well written and perhaps has even more meaning for older children and adults who can relate to her situation. It also has humorous moments mixed in along with the emotional experience. I would highly recommend the movie and you may wish to take some tissues too! Besides watching the movie, we were divided into groups and had to come up with some active Inside Out themed games. We were paired up with Family Four Fun and the children came up with a game called Emotional Ice Hockey. The game is to use your bare hands to roll the ball (made from newspaper) and each time someone called out an emotion (joy, anger, sad, disgust and fear), they had to show this emotion. The kids all wanted to act out ‘sadness’ in which they would lie on the floor and have one of their team mates drag them back to the start point (it will make sense once you watch the movie!). This is our video that I like to share with you! This summer holiday, why not print these colouring sheets, door hangers and activity sheets to do with your children! Click the picture to print out! Disclosure: We were invited to attend the event and received goody bags. All thoughts are our honest opinions. Images and printables were shared with permission.